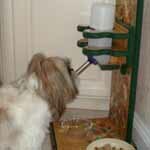 A stand basically just holds the water bottle but proper height adjustment of the water bottle is very important. 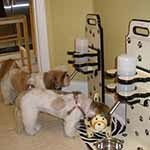 For this reason the Small Pet Gourmet Stands from PAWS Creations are made in two pieces, the stand and the water bottle support unit. 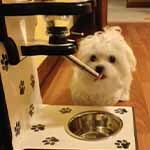 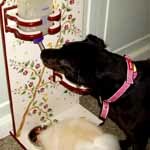 You have the ability to easily adjust the height of the water bottle on your stand either up or down to reach the most comfortable and beneficial drinking level for your pet. 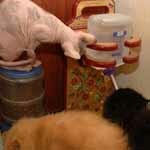 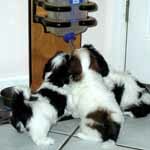 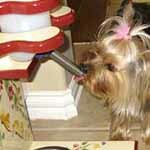 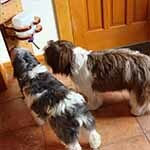 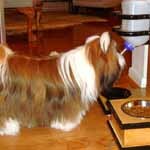 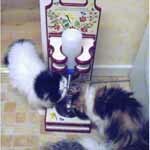 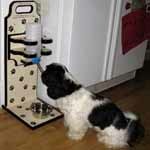 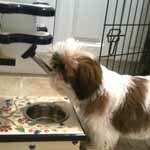 This is a bonus for owners of immature pets as the drinking level can be adjusted up as the pet matures. 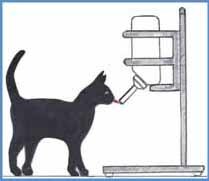 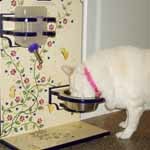 The size of the combined pet water bottle and elevated food dish stand for small pets is determined by the pet’s mature height at the withers. 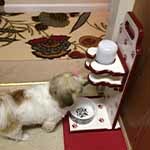 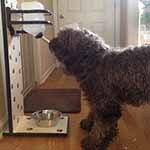 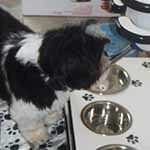 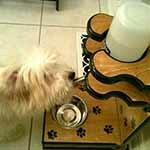 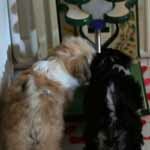 The elevated food dish height is stationary on the Small Pet Gourmet Stands. 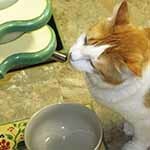 Important: If you have mixed sized pets (such as a Munchkin cat and a Norwegian Forest cat or a Momma and her babies), then you will need more than one size SPGS as it is important that each pet’s water source be adjusted to his or her level to make certain they drink an adequate supply of water. 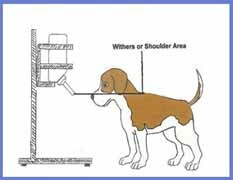 20-Inch 5 to 8-Inches If your pet measures 6-inches at the withers it would need the 20-inch stand. 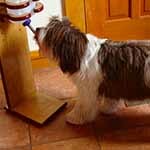 25-Inch 6 ½ to 13-Inches If your pet measures 10-inches at the withers it would need the 25-inch stand.